UBC Library book retrieval system, originally uploaded by stodmyk. 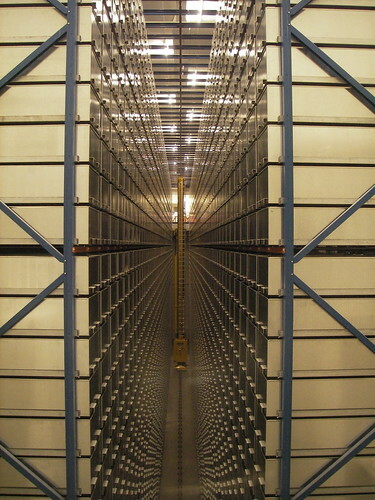 This nifty Creative Commons-licensed photo is of UBC Library’s Automated Storage and Retrieval System. It’s part of the newly rebuilt Main Library at UBC. From what I understand, I’ll be moving my base of operations for professional misconduct back to this building next month as the Irving K. Barber Centre enters its next phase. 1 Response to Welcome to the machine. What did you dream?